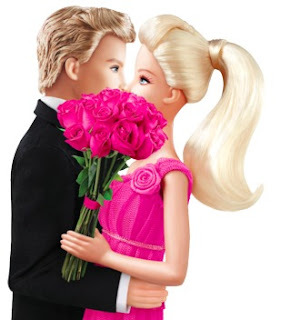 It's a Valentine's Day miracle, Barbie and Ken are together again! Barbie announced the big news on her blog today: "After seven years apart, Ken and I have decided to rekindle our romance -- after all, we may be plastic but our love is real!" ...and did a bit of research upon my return. After work I couldn't resist a "date" with Ken. Shhh...don't tell Ted! 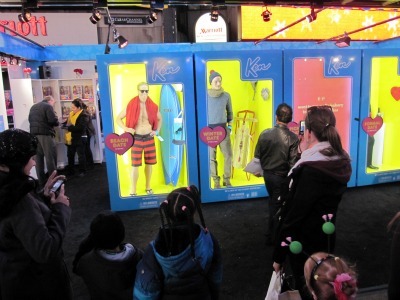 "Real life Ken dolls dressed for different dream dates." It was hilarious. Beach Ken was definitely my favorite... "He makes sunsets sizzle!" Where was Barbie?! Shut it! You work in Times Square? Just living the dream aye? haha. Linds, I think you are my coolest legit blogger girlfrand. Beach Ken is cracking me up, mmmm chizzzled. oh my goodness, this is hilarious!! ooo love it! too funny. get it barbie! Oh my word how neat is this! I love Barbie! Shut the front door. Grown men in Ken boxes? So crazy! But very nice to look at! 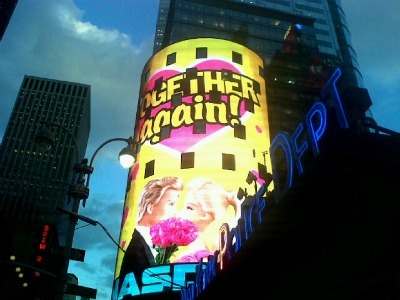 i had no idea ken and barbie were back! i thought he may have preferred gi joe? well, it's good to know!